It was a busy month for developers and theme designers, since a great number of new themes were released during the previous four weeks. 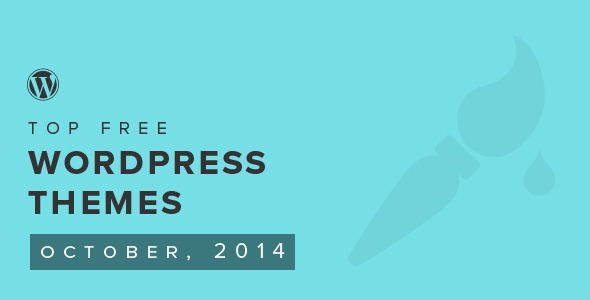 Five of them were approved and added to the list of the very best wp themes of October. There is a variety of theme types included, from business-oriented themes to more creative ones. So grab a cup of tea or coffee and start bookmarking your favorites. 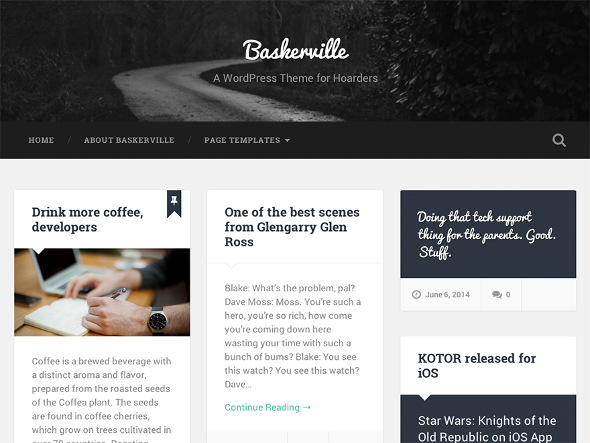 Baskerville is a retina-ready, beautiful and responsive theme which will be perfect for designers. Baskerville is ideal to share your ideas, showcase your images, videos, galleries and posts as well as to share your favorite links and quotes. The theme supports all post formats and comes with a retina-ready assets, responsive design, full-width header image. It provides custom widgets (video, Dribbble and Flickr) custom logo upload, four page templates, translation-ready code and style editor. However, Baskerville features a poor list of language variations. Professional theme will be best suitable for events, magazines, business or any other kind of a personal web blog. As a matter of fact, this blog can be optimized for using on any website. Professional comes with some stunning animations throughout the site, well designed and powerful slider, a showcase area, multiple navigation menus, cross browser compatibility, footer widget area and full width page layouts. 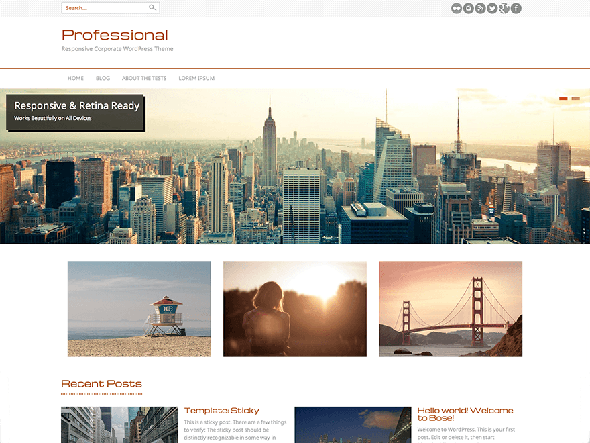 Professional is absolutely translation ready (including Spanish, French and German) and responsive theme. It can be viewed in your native language and will work flawlessly on all devices. 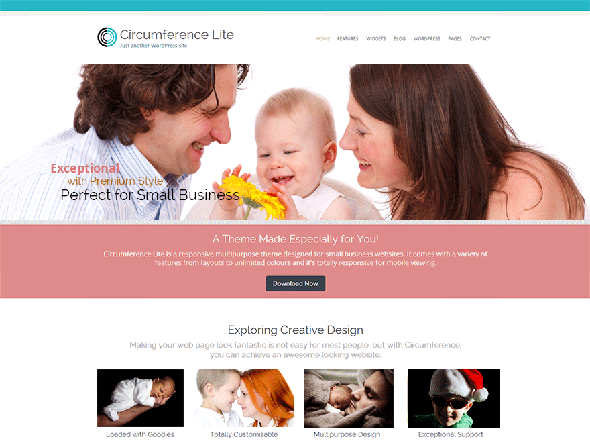 Circumference Lite theme has a significant list of features and clean design. It contains a child theme that can be used for customization. This is an exceptional, responsive theme with unlimited colour scheme, 14 Widget Positions, full width or boxed page layouts, font based icons, extensive theme options provided by the WordPress Customizer, retina and translation ready, custom gallery styling, several site logo/title options, a large selection of beautifully styled Post Formats, page templates and built-in social networking. Circumference Lite is perfect for small businesses as well as for fashion magazines. Responsive is 100% compatible with any mobile device or other viewing environment. It is a flexible foundation with 9 Page Templates and fluid grid system. 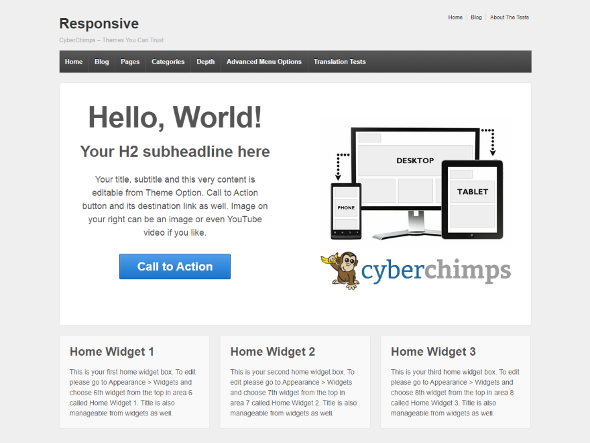 Responsive also features 11 Widget Areas, 4 Menu Positions, 6 Template Layouts, etc. Simple but powerful, this theme provides full CMS control with social networking, webmaster tools and logo upload. Also, Responsive is currently translated into 45 languages, multilingual ready (WPML), WooCommerce compatible, search engine friendly, RTL-Language Support, retina-ready, comes with W3C markup validation and cross-browser compatibility. Progression is a theme that means innovation, technological advancement and movement. It comes with a bunch of useful features and elegant design. Progression is a real masterpiece of computer knowledge and IT technologies. At the same time, this theme is easy-to-use and customize even for a newbie. You will not see any problems while working with Progression. It will be best suited for Distribution Services, News magazines, Movie news, News Network sites, Sports News, Movie reviews, Sport newspapers, Daily news, Government agencies and Sports magazines. Try Progression and you will never regret about it! To summarize, flat design and big photos are the main trends in theme`s web design of the previous month. 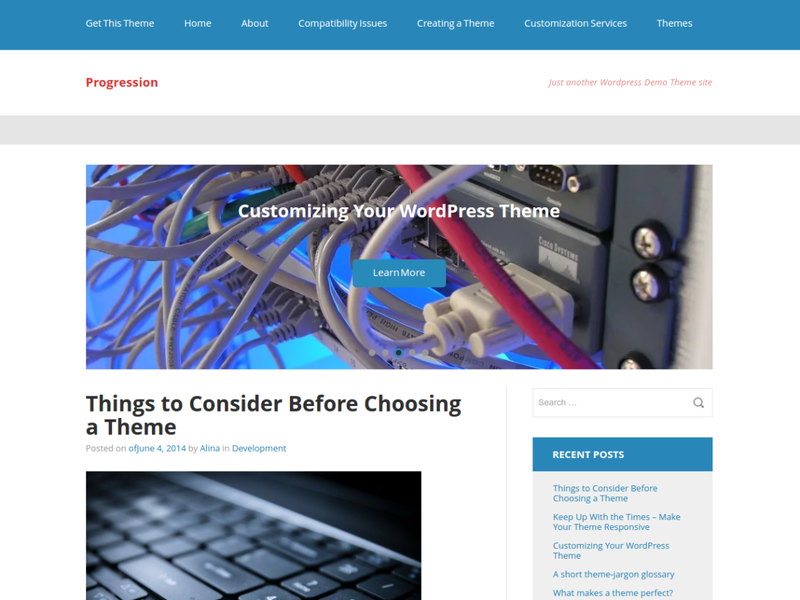 We have selected some of the very best free WordPress themes in this article. All we wanted is to show those beautiful, truly amazing and totally free WordPress themes hoping to make your life easier. So enjoy viewing the list our favorites of the best free WordPress themes released in the previous four weeks. Each theme is absolutely free to use and offers some unique and special features.